Molecular structure optimization, fitting potential energy functions to ab initio and experimental data, and spectral assignment are among the hardest optimization tasks in molecular sciences. These are fundamental problems in chemistry, but they can also be relevant in molecular physics and biochemistry. In past decades, several methodologies have been proposed to help in the above mentioned tasks, and some of them are already incorporated into computational tools, such as GMIN, GEGA, OGOLEM, BCGA, GRRM, tsscds-2018 and GAFit. Most of these computational programs are interfaced with well-known packages that perform electronic-structure calculations and, hence, allow for a direct assessment of the semi-empirical, density functional theory (DFT) or ab initio energy of the system during the optimization process. Among the methods suggested in the literature, we emphasize the development of evolutionary algorithms, also known as genetic algorithms, basin-hopping, and related approaches, dynamic lattice searching (DLS) techniques and variants of the heuristic method combined with the application of operators for specific geometrical perturbations (HMGP). Furthermore, parallel-tempering Monte Carlo techniques, which are able to explore low-energy landscapes, have been also developed to calculate thermodynamic properties. Global geometry optimization studies are, now, being extended to systems of increasing complexity. In particular, global optimization algorithms have been applied to a great diversity of chemical systems, including atomic and molecular clusters as well as colloidal aggregates and biomolecules. Nonetheless, optimization work needs, in general, a large number of computational resources and, hence, improvements in the algorithms will relieve for such burden. 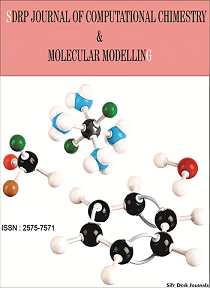 Major challenges are concerned with the treatment of systems with increasing size and incorporating higher levels of theory in the molecular model. Also, multi-component aggregates pose an important combinatorial problem that require novel optimization strategies. Although the use of state-of-the-art spectroscopic techniques to probe the structure of clusters has allowed for a close collaborative work involving computational and experimental achievements, there is still room for great improvement in this effort. In particular, the comparison between theoretical and experimental spectroscopic data will benefit from significant improvements in the algorithms devoted for the spectral assignment.